We were taking the day off from school today since we planned on going to the movies to see Dolphin Tale 2. 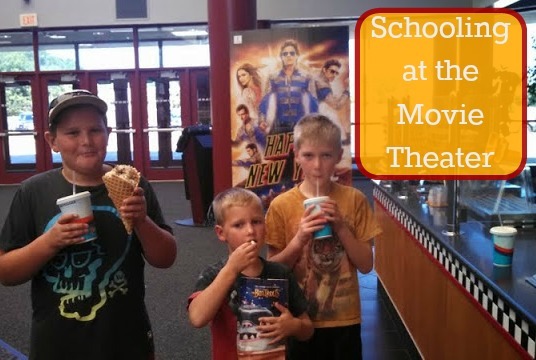 I had been hearing a lot about it through the homeschool community and there are even curriculum guides available for it through the homeschool movie club. I'd love to say we've spent time going over the curriculum but I can't. 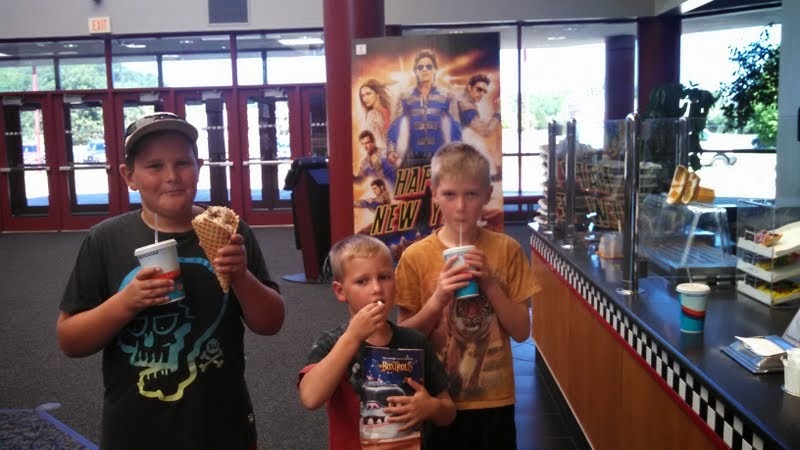 I'd love to say I was confident my boys would learn a lot by watching the movie, but I wasn't. We were looking forward to having some fun and seeing our old pal Winter again. Since the movie wasn't starting until after lunch we had the whole morning to get ready. How appropriate that Alec picked this under the sea puzzle to put together! We arrived at the theater and got our tickets and our snacks and settled down to watch our movie. Sitting in the darkened theater with Evan cuddled on my lap and Alec resting his head on my shoulder beside me I just thought it was such a perfect moment that I wouldn't have traded it for anything in the world. We talked about the pictures and movie clips shown at the end of the film of the actual workers of the Clearwater Marine Aquarium. The boys wanted to know where Clearwater was located on the map and if it was possible to visit there when we visit Orlando. I offered to look it up on the map when we got home. We were delighted to learn it wasn't too far away from where we were staying! We had such a fun time and enjoyed the movie tremendously! No movie is complete without yummy snacks.